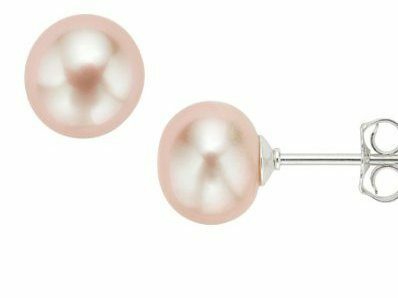 Get these Sterling Silver Peach Freshwater Cultured Pearl Earrings for just $3.95 on Amazon (reg. $49.95)! Super Saver Shipping will be FREE with an order of $35 or more or get FREE 2-day shipping with Amazon Prime. These are on closeout so grab them before they are gone!! They would be a great gift for your Valentine.